Easy lawn hydroseeder is widely used in greening projects. Seeding plants can be used for farmland paddy fields, lawns, flowers and trees, crop seeds and so on. Seeding grass seed water seepage can also be used for irrigation, fertilizers, pesticide spraying and other conventional conservation and soil improvement operations. Soil can also be improved by the combination of seeds, fertilizers, soil conditioners, binders, humectants, fiber seed coverings, straw, yellow-red soil, soil, sandy loam, clay and some strong organic mixtures of fission soil. Large area, high concentration of heavy metal concentration of mud evenly eruption. The hydro generator is easy to use and good for the environment. 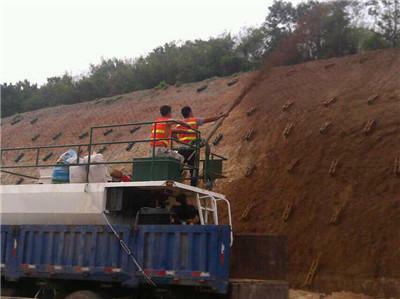 Avoid soil erosion and landslides, air purification and stability. For more information, email us at info@gaodetec.com.